G.C.H.C. 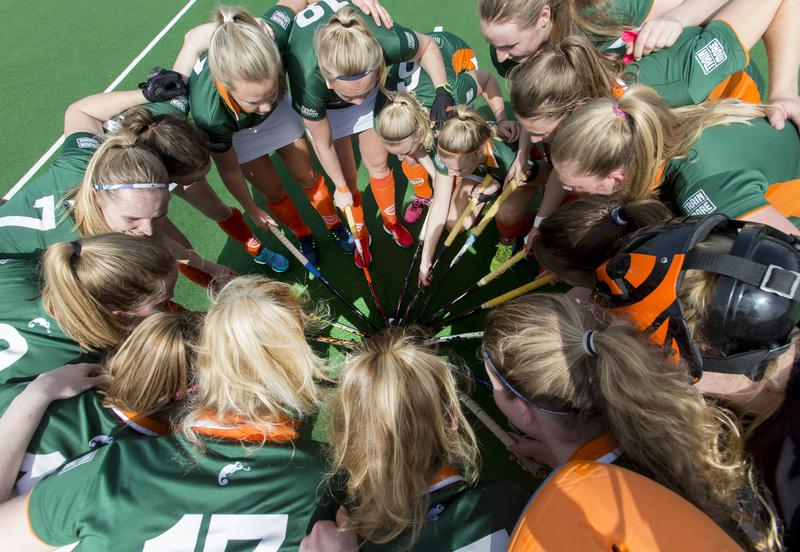 is the Netherlands’ largest student hockey club, located in Groningen! We are a fun, lively and active sports association meant solely for students in one of the most booming student cities in the Netherlands. G.C.H.C. has more than 550 competition members, whom are allocated across our 17 women’s and 13 men’s teams. Additionally, G.C.H.C. has 250 training members. Try-outs for the first, second and third teams take place at the beginning of the season and before the restart of the competition in the spring. 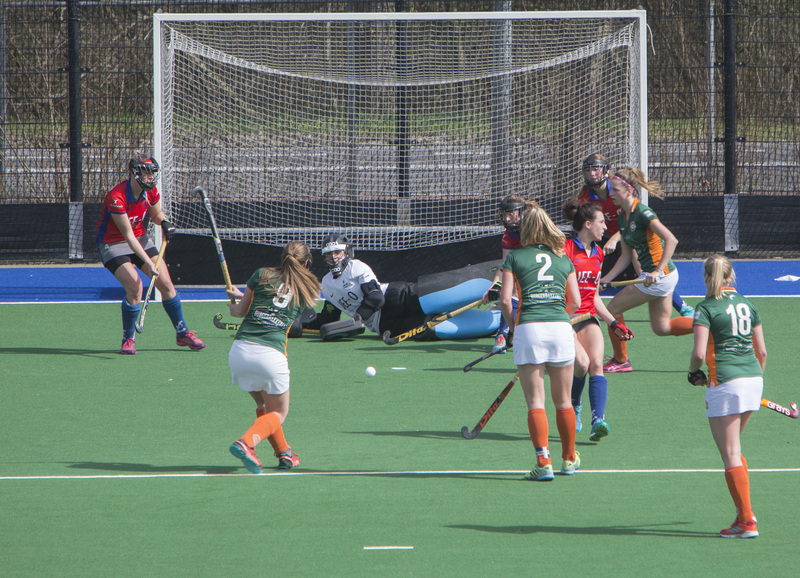 The first men’s and women’s teams play in the first division (Eerste Klasse), and the second and third teams, both men and women, play in the reserve premier division (Reserve Hoofdklasse). These teams provide a great way to combine hockey at a competitive level with the fun social activities G.C.H.C. arrange. We also provide a wide range of other teams dependent on your hockey skills. There’s a team for everyone! G.C.H.C. members train and compete at our accommodation on the Zernike Campus. The club has one water based field, one semi water based field and two sand based pitches. G.C.H.C. also possesses its own club house, completely managed by students. Besides the regular competition, teams compete with each other for the John Frederikstadt Cup, which is won by the team that scores the most goals during the year. This makes for a fun battle between teams. G.C.H.C. is a self-run association, managed completely by and for students. Over 200 members are active as captains of their team, coaches, participate in one of our twenty committees or serve as board members. 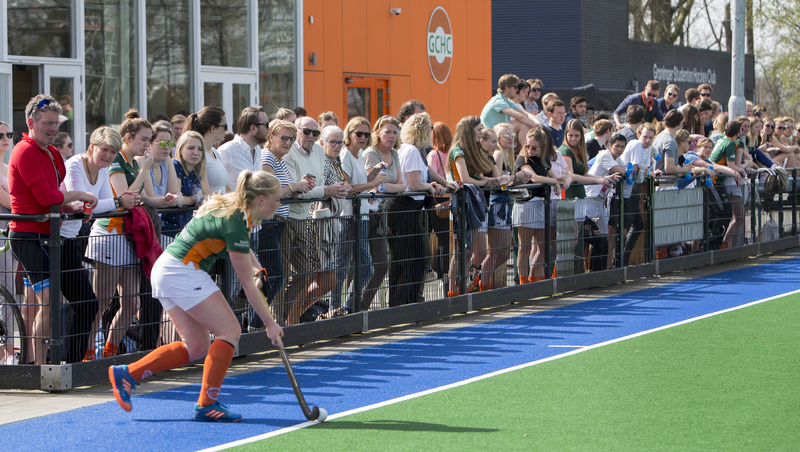 So if you’re interested in writing the yearbook, organizing the largest student hockey tournament of the Netherlands, or providing everyone with their well-earned beers after trainings and matches, don’t hesitate to become an active member! G.C.H.C. does not have a cricket team anymore. However, once a year we relive the history of the club during the annual Cricket Day. Signing up is done by sending an email to [email protected] who will provide you with an English application form. It is possible all year round to become a training member. Unfortunately, due to space constraints, we cannot accept all applications for competition membership. Before the season starts, a lottery is held to determine whether or not you can join as a competition member. If you are accepted in a try-out team, you will not have to take part in the lottery! What are the membership costs? Membership at G.C.H.C. costs €130 per year for competition members, and €55 per year for training members. The membership fee is paid in two terms of €65 each. Additionally, an entree fee of €39 is charged for new members, to compensate for the additional administration costs and your personal G.C.H.C. card, which you can use to pay for drinks and snacks. G.C.H.C. mandates a direct debit authorization, in order to withdraw membership fees, consumptions paid for with the G.C.H.C. card, and other financial obligations. If you are unable to provide a direct debit authorization, the membership fee is raised by €12. If you are unable to play hockey for longer than half a year due to an injury, it is possible to get your membership fee (partly) refunded. A doctor’s note is required for this. Contact [email protected] before August 31st in order to apply! In accordance with the rules of the KNHB, every member of G.C.H.C. has to qualify as a club umpire. Additionally, you will likely be appointed as an umpire for a match once or twice per year. You are obligated to umpire the match or find a replacement yourself! The board is present at the club on Mondays, Tuesdays and Thursdays from 11:00. Exemptions are possible. If you wish to make an appointment, contact the chairperson at [email protected] to make an appointment. The chairman has the final responsibility for the board. He or she represents the club to other parties and is your contact for general questions. The vice-chairman is technical manager of the club and responsible for the try-out teams, professional trainers and indoor hockey. The secretary is your contact for all questions regarding membership, ACLO cards and is responsible for the membership administration of the club. The treasurer of internal affairs manages the financial administration of the club. He is the contact for your questions about training materials and committee finances. The treasurer of external affairs manages sponsoring, accounts receivable and the custom Point-of-sale system. He is the contact for your questions about your G.C.H.C. bill, and the sponsoring committee. The coordinator is responsible for the committees at G.C.H.C. and manages the clubhouse. Contact her for more information about committee membership or inquiries for renting the clubhouse.